18 Feb 2011- Sapporo Teine Olympia: This is the lower section of the hill and is highly suitable for beginners and those not ready for intermediate slopes. That is me….. The ski school is a little pricier than the equivalent instruction in places like Hakuba or Shiga Kogen, possibly because of a lack of competition. Unfortunately the instructions are in Japanese only. Wonder why it is called the Olympia? 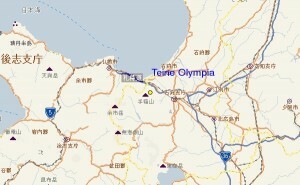 Well, it is because of its role in the 1972 Olympic Games. The tower used for the Olympic flame is still standing and is an easy reference and meeting point. This tower is not the one used in the Opening Ceremony of the Games, but was placed here due to its visibility. Olympia was the site used for the 1972 Bobsleigh event won by Swiss (4 man) and West German (2 man) teams respectively. Due to it being not that popular, the former bobsleigh run has now being dismantled. The Olympia area can get crowded on weekends (which Japan ski doesn’t), but the Highland site offers better opportunities. 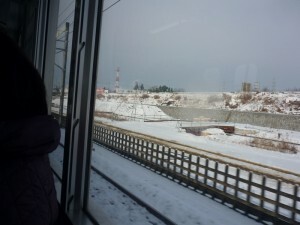 My opinion is to ski during the weekdays and leave to slopes to the Japanese on the weekends. 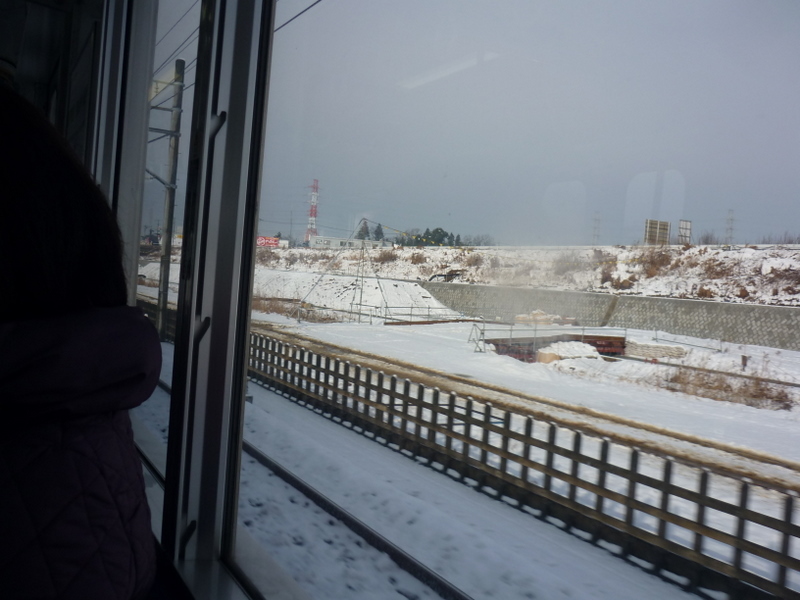 To get to Sapporo Teine Highland: you need to use the high speed gondola. It is fairly new and there is rarely any waiting time involved. Once you get off you have the choice of either taking the ropeway (slow but with high capacity) to the peak, or warming up with some lower runs before heading to the top using the chairlifts. According to their website, after fresh snowfalls the Ropeway option is a godsend. From the top you have the option of either taking the groomed intermediate trail down to the black runs (which offer good moguls depending on the time of season) or going under the ropeway for some excellent and in some places steep off-piste skiing and snowboarding through the trees on very good powder snow. 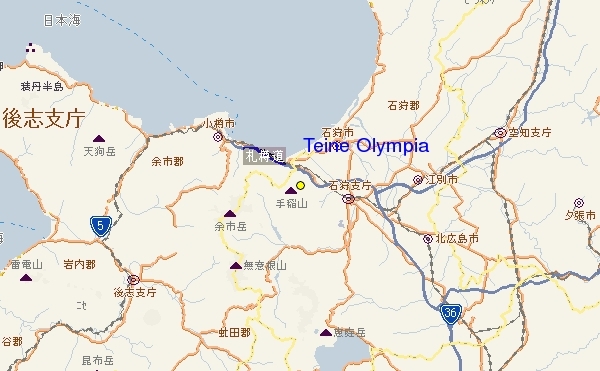 If you above intermediate level and weather conditions are good, these runs are as good as any backcountry areas in Niseko or Nagano, with the exception of length. No matter which route you take, the bottom arrives far too soon. 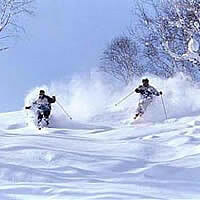 This is one of the reasons why Highland is frequented mostly by experienced skiers, especially Sapporo locals. slow down to avoid beginners at any stage. We didn’t try the night skiing but according to some websites, Sapporo Teine is open and floodlit at night and the conditions are usually good, but whiteouts early in the winter and icy conditions late in the season need to be prepared for. Apparently it is very cold, but the views of the lights of Sapporo are very beautiful from up the mountain. 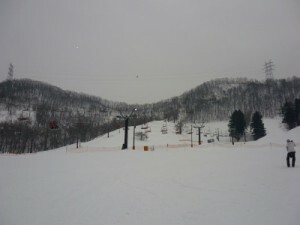 Snowboarders can use any part of the hill and there is a good snow park with plenty of jumps and rails (including wide rails for beginners).